Tried everything to control your knee pain? Check out the most effective natural pain killers that will give you long lasting relief from the arthritis pain. 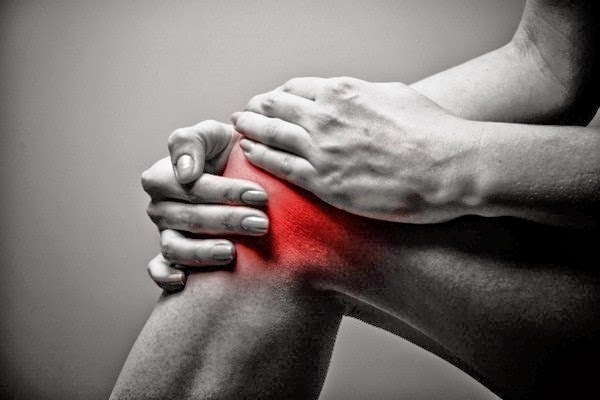 Some years before, knee pain was considered as a sign of old age, but in today’s mal-nutritive lifestyle, any one can easily become patient of different kinds of joint pain. One of the most irritating and unbearable pain that take out your breath for few minutes is Knee pain, known as Rheumatoid arthritis. It stops you from enjoying some beautiful moments of your life like playing with your children or grand children, watching movie in theater, dancing with your partner, etc. It is most painful that almost affect your all the daily routine, associated with walking. If you visit any rheumatologist, then he will give you prescription for some pain killers and tell you to go for knee replacements or other surgery. But arthritis is combination of different health problems that have in swelling of the knee joint. So, besides using pain killers which affect negatively on other body parts, check out below given easy and natural knee pain killers to relive pain. Green tea: Besides being great remedy for reducing the level of cholesterol and risk of colon and prostrate cancer, it is also beneficial for knee pain. As per the recent study, green tea extracts epigallocatechin-3-gallate (EGCG) that cures pain causing inflammation in knee. Drinking fresh green tea helps more to reduce the pain. Grape seed extract: Consume grape seed extract daily around 150 mg divided in three doses to get relief from the unbearable knee pain. Ginger: Ginger acts as an excellent ingredient to reduce the joint pain. It is natural anti-inflammatory that helps to relive from arthritis. You can consume it in different forms such as ginger tea or spice up your meal with it. Turmeric: Turmeric or curcumin herb is very much popular for its many health benefits. It also acts as anti-inflammatory herb and reduces the pain of knee. Turmeric contains two most effective anti-inflammatory chemicals namely curcumin and curcuminoids that reduces the swelling and also protects you from other health issues. Prepare paste of turmeric, lime and honey in same amount, and apply it on swelling area. Or Roast green leaves of turmeric plant and tie them on swollen area to get instant relief. Boswellia: Boswellia serrata or Salai has properties to reduce your knee pain. It is widely used in various medicines that are used for Osteoarthritis. Gum (guggulu) is mainly known for its anti-inflammatory, anti-arthritic and analgesic properties. You can easily find out Salai supplements at any ayurvedic store in tablet form. Apple cider vinegar: Apple cider vinegar is also helpful to reduce the swelling and knee pain. Prepare mixture of 2 tbsp of organic Apple cider vinegar, raw organic honey in one medium glass of water, and drink it twice a day to reduce the pain naturally without any side effect. Burdock Root (Arctium lappa or Arcticum minus): It is very useful to get relief from joint pain. You can include it in your diet in different way like eat fried burdock root, burdock root decoction, and also boil dry powder of it in water for 10 minutes and drink warm water. It is ancient method to resolve your knee pain. Flaxseed (Linum usitatissimum): Flaxseeds are consider as the vital source of Omega-3 that is important for better immunity system and reduce the swelling of arthritis. Include nearly 2 tbsp of raw flaxseed or raw flaxseed oil in your daily diet to reduce the inflammation of arthritis. Nettles (Urtica dioica): It is really vital herb that contains almost all important nutrients such as protein, calcium, phosphorus, iron, magnesium, beta-carotene, along with vitamins A, C, D, and B complex in most soluble form that our body can use. A boron, calcium, magnesium and silicon mineral can help to improve the condition of arthritis patient by making him free from unbearable pain. You can consume it in the form of Nettle leaf tea to treat arthritis. Licorice (Glycyrrhiza glabra): It acts as the natural corticosteroids that help to reduce the inflammation. It reduces the number of free radicals from the swollen area and lets you relieve from the inflammation. One can use it in the tea form. It is available in powder and small part forms. Tart cherries: Tart cherries are really useful to reduce the knee pain. One can daily consume tart cheery juice or consume it in raw form to get its anti-inflammatory benefits. You can easily purchase it from your near vegetable market. Epsom Salt: Epsom salt is ancient remedy used to get relief from the joint pain. Epson salt has anti-inflammatory and anti-arthritic properties that help you to relieve from joint pain. Take warm water in one bath tub and add two cups of Epsom salt. Soak your both the legs in it for nearly 30 minutes. It will make your relax by elevating your mood. During soaking, your body will also absorb some amount of magnesium that let you free from the pain for long period of time. Arnica: Arnica montana is plant of sunflower family and used as traditional medicine to relieve arthritis pain. It is available in ointment, liniment, or tincture form to use. It is very much popular in western country to reduce knee pain. Bishop's weed: Prepare oil of bishop’s weed and massage it on your knee to get relief from even chronic arthritis pain. Or prepare mixture of 10 gm bishop’s weed oil, 10 gm peppermint, and 20 gm camphor in one bottle. Massage with oil daily to reduce the pain of arthritis. Nutmeg: Mix mustard oil and nutmeg oil in same quantity and massage with it to get relief from knee pain. You can keep it in glass bottle and use it daily to reduce the chronic pain of arthritis. Carrot: Drink fresh carrot juice daily to reduce the problem of arthritis from its root without any side effects.